he one-strap/two-strap debate is a thing of the past! Nowadays, the only important backpacking decision is which tactical backpack you should be buying. A tactical backpack is a necessity for some of our servicemen and a smart choice for the everyday guy. These backpacks have been specifically designed to withstand some of the most dangerous and high-pressure situations. They’re made with almost-indestructible materials for indestructible men. They also have more to offer in terms of easy-access storage. Some have even been designed for niche purposes such as holding firearms – more on that in just a second! To help the marine reserve, the patrol guard, the law enforcement officer and even the spreadsheet maestro, we have put together a compelling buyer guide full of the best tactical backpacks for men. Our showcase features a range of different types of tactical backpacks so there is certainly something for everyone. Get tactical and ditch your worn and old backpack and make a worthwhile investment you won’t regret! We know there are many options when it comes to tactical backpacks. Some manufacturers claim their products are a tactical design when in fact they’re no better than your reusable grocery bag from Walmart. To filter out the garbage and clear the way for you to make an informed and smart choice. We did lots of research and found 29 outstanding options! Notice how that isn’t a nice round 30? We only recommend quality – even if it does drive some of the Men’s Gear team a bit stir crazy that we couldn’t make it one more. So, shall we? What Type of Tactical Backpacks Are Available? Tactical backpacks for men aren’t a standard design. They come in different shapes and sizes, as well as being made for slightly different purposes. While some of these backpacks are great for many different uses and activities, some zone in on a specific feature. One example is a hydrating tactical backpack. 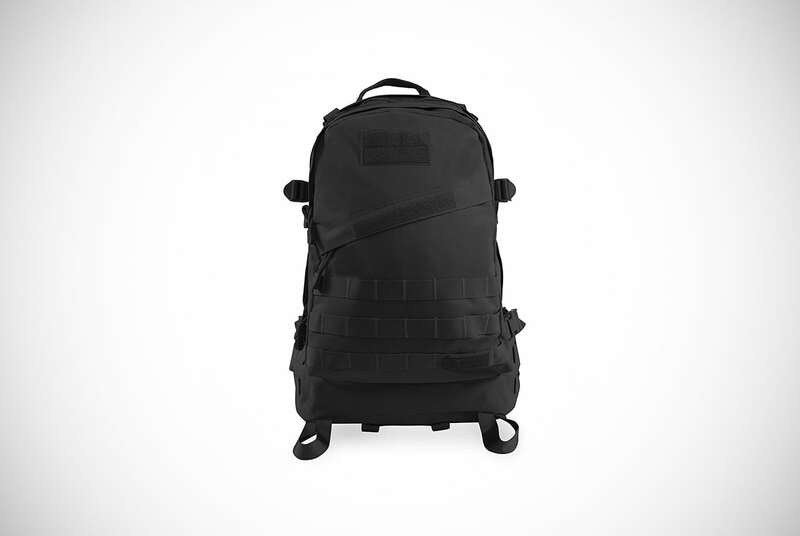 Check out the second backpack from SOG on our list to see a tactical backpack aimed at keeping you effortlessly hydrated when on the move. Another example of a tactical backpack aimed for a specific use is the range tactical backpacks. We feature a host of these models further down our list so you can get to grips with them and their features. 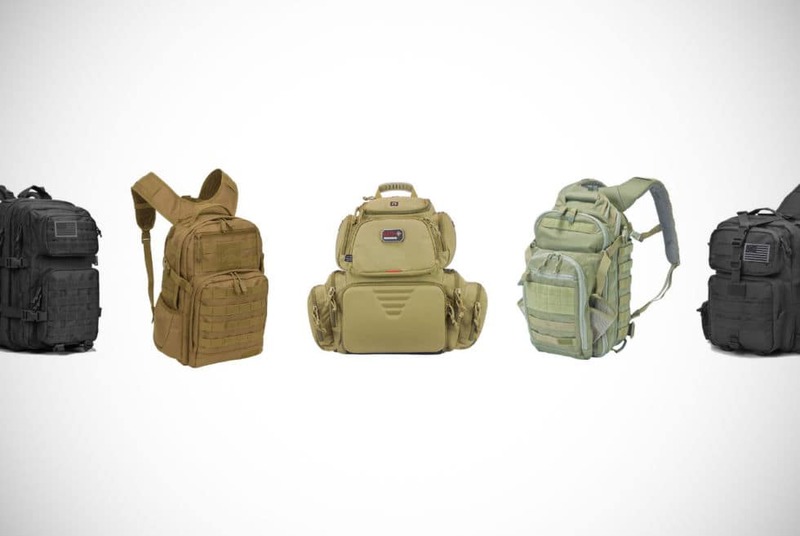 In a nutshell, these backpacks have been optimally designed to house firearms and ammunition. They’re a safe and efficient way of taking your guns to the range or into battle. There are still two more great examples of tactical backpacks with a more niche purpose. One of these is self-explanatory and known as a laptop tactical backpack. These are reliable backpacks at protecting your expensive devices such as laptops but also tablets and smartphones. The other popular choice is sling tactical backpacks. A tactical sling backpack is a unique design. 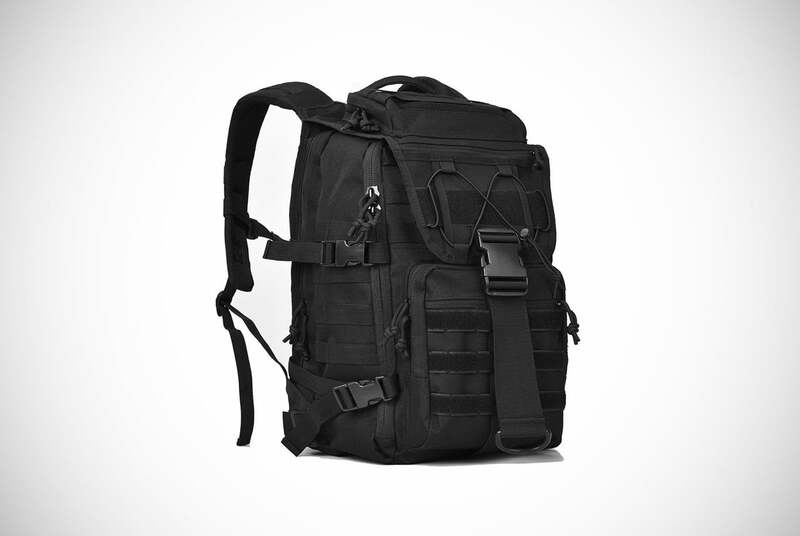 Instead of the orthodox two straps, a sling tactical backpack has one strap. The strap is placed diagonally across the wearer’s shoulder and torso. On most of these backpacks, the strap can be worn in either direction as preferred by its owner. Having one strap lets the wearer swivel the backpack to their front so they can retrieve items without taking it off. Thus, saving precious seconds! Of course, there are more generic tactical backpacks available for everyday use. Before buying one of these cool products, it’s best to consider what your exact intentions are. If you’re sick of pausing to rehydrate on the way up the mountain, you may want to choose a hydrating-specific design. If you’re a firearm enthusiast, it may be worthwhile checking out the range models. Or, if you’re just a regular Joe, why not invest in a laptop tactical backpack or stand out on the subway platform with a sling tactical backpack. What Are The Best Tactical Backpack Brands? Just like the best tactical backpacks for men, we’ve strategically organized our buyer guide. We’ve placed the different brands together, so you can shop by brand if you already have a favorite tactical-backpack provider. This also lets you easily compare models from the same manufacturers with less strain on your scrolling fingers. Our guide will take a look at the great work of SOG, 5.11, Highland, Fieldline, GPS and some other impressive brands churning out the best tactical backpacks. These brands are best in the business when it comes to making tactical backpacks. They have proven their quality by gathering a stronghold of the market and repeat buyers. Let’s take a look at one of them in a little more detail. 5.11 Tactical is a California-based brand with a cool backstory. The company was formed by a rock climber who wasn’t impressed with the current quality of climbing gear on the market. After accomplishing a troublesome climb in Yosemite National Park, he decided to make his tactical-wear company. Royal Robins was the name behind the brand and also the inventor of the decimal system used to determine the difficulty of a rock climb. It just so happens that Yosemite plays host to one of the most difficult climbs on the planet, with a score of 5.11. The bands mentioned before have similar awesome stories behind their formation. However, we’re yet to go into the biography business, so let’s just leave you with this cool piece of knowledge for your next quiz night. A bug-out bag for those not familiar is the name of a backpack that is used in the event of an emergency or impending disaster. Or for some, and more likely, a backpack to just help you survive three days in the wild. If you’re trying to get on the spaceship and avoid the end of the world or just going for a guys’ weekend away in nature – you will need a bug-out bag! The aim of the backpack is to help you survive for 72 hours or possibly longer during remote living or dangerous situations. A tactical backpack is a perfect choice for your bug-out bag. It’s a military-standard piece of kit made for these types of situations. But, what should you put in your tactical backpack in these survival situations to help you make the 72-hour mark? And, how should you pack them? we wouldn’t survive without food and water so it’s a good place to start. To take care of your hydration you should pack a filtering water bottle. This way you can get clean water from almost any natural water source. To take care of mealtimes, bring along dehydration pre-prepared meals and high-calorie bars. Or, pack protein bars too. Another option is to take a stove and tinned food such as beans but these will take up more space. If you do the latter, remember to bring a spork! you can match your tactical backpack with other tactical gear to make sure you are truly prepared for your adventure. Grab a tactical belt to wrap around a pair of tactical pants. If they zip off below the knee even better. Don’t forget some tactical gloves too. Other more common items to consider are rain jackets, fleeces, long-sleeved lightweight tops and wool socks. being rested is key in surviving your remote venture or your real-life ‘28-Days Later’ challenge. Having adequate sleep will keep you and your brain functioning at its best. To sleep well, pack a small tent, a lightweight sleeping bag. A portable pillow isn’t necessary. You can roll up your fleece instead. In case of injury or emergency, it’s smart to pack a first aid kit. Choose a small compact one with the necessities rather than bringing along the family drawer with seven types of plasters. Remember any medication such as inhalers or your EpiPen. keeping yourself looking tidy and sharp is not essential. Enjoy the manly ruggedness of trying to survive your wild adventure. However, you can still do the basics and bring along a toothbrush, toothpaste, and some wipes. Don’t be the guy who accidentally uses nettles after going for a number two. keeping yourself looking tidy and sharp is not essential. Enjoy the manly ruggedness of trying to survive your wild adventure. However, you can still do the basics and bring along a toothbrush, toothpaste, and some wipes. Don’t be the guy who accidentally uses nettles after going for a number two.since the dawn of man, we’ve been making tools from our environment. Unlike our fellow homo erectus, we can now get them at Walmart. Enhance your bug-out tactical backpack with a knife and one of those compact multi-tool devices. Try and get one with a bottle opener so you can enjoy your final cold one if the world does end. After all, some men just want to watch the world burn. attempting a survival feat across the desert or through the forest can become awfully lonely at night. Even though you’re certainly not alone. Stay in tune with your environment by packing a flashlight. Don’t get an overly bright one and remember to add new batteries before you leave. you’re not supposed to be updating your social media but bring a smartphone in case your personal test goes wrong and always keep a map, whistle and compass close to hand. A flare might not be a bad idea either. you’re not supposed to be updating your social media but bring a smartphone in case your personal test goes wrong and always keep a map, whistle and compass close to hand. A flare might not be a bad idea eitherHopefully, you’ll never need it but pack a firearm and ammo. Also, take bear spray in case you encounter grizzlies and mountain lions. Remember that pepper spray isn’t going to warn off bears and you’re more likely to survive a bear attack with bear spray than you are with a gun! So, how do you pack all of this? The best tactical backpacks for men have external clips and storage for the smaller and more convenient items. This is where you attach the things you may need quickly like a compass, medical supplies, flashlight, and your bear spray. The other things should be neatly stored inside your bag. Preferably in different compartments and pockets. These tactical backpacks for men are designed to suit the working conditions of certain occupations. Men working as security guards, firefighters, law-enforcement officers, and military personnel use the products because their features are perfect for carrying specialized equipment and allowing them to access multiple items in quick time. However, these backpacks come in useful away from pressuring situations and the battleground. A tactical backpack can be used for other activities and even in some sports. Many men choose a tactical backpack over a regular one because they see it as an investment. These backpacks are made to withstand warzones so they’re going to be able to withstand a return journey on the 89 from New Haven to Grand Central every day. They will last much longer than other backpacks and can be a worthwhile investment for any guy. They’re also useful to outdoor-types who like to go hiking, cycling, camping, and even rock climbing. They can carry a lot of equipment for these activities and let you access them – and your water – without having to keep stopping and going through your gear to find what you need. A tactical backpack can be used for other activities that are less obvious than the ones just mentioned. They are great for exercise enthusiasts such as runners, paintballers, crossfitters and Nerf gun battlers. We might be playing fast and loose with the term “exercise enthusiasts” when it comes to the last one, but they can be the perfect combination for keeping your Nerf bullets close to hand. And the perfect combination to get you in trouble with your better half. 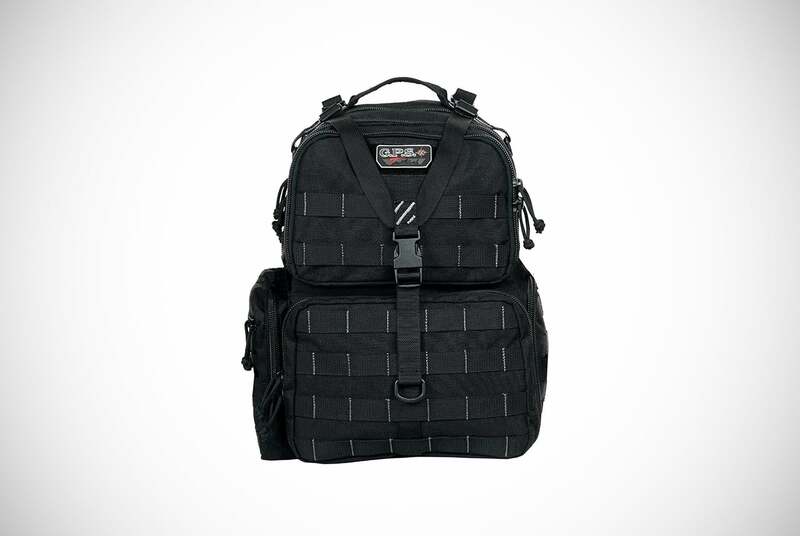 Available in a number of military-esque colors and designs is the SOG Ninja Tactical Backpack. This is a great place to start on our mission to uncover the best tactical backpacks for men. It’s a backpack that won’t be out of its depth between the mountain peaks or between subway carriages. It’s ideal for those weekend adventures with the guys and everyday commutes through the concrete jungle too. It is made with a blend of polyester and canvas which makes for a reliable water-repellent tactical backpack. The straps have been padded and can be easily adjusted for maximum comfort. For even more comfort, the foam back has been contoured to rest perfectly against your back and avoid any of your bag’s contents causing you discomfort. This foam has also been peppered with multiple air holes to increase ventilation and stop your back getting overly sweaty. 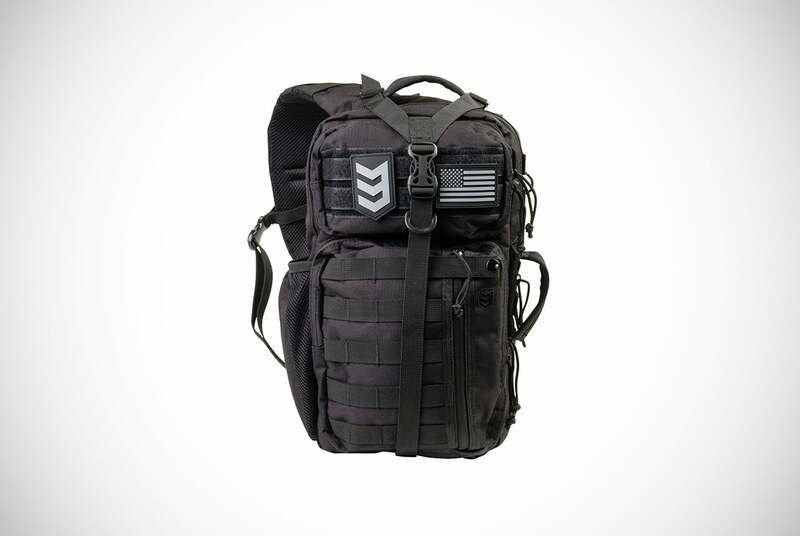 Like many of the best tactical backpacks for men, this model makes use of Modular Lightweight Load-Carrying Equipment (MOLLE). 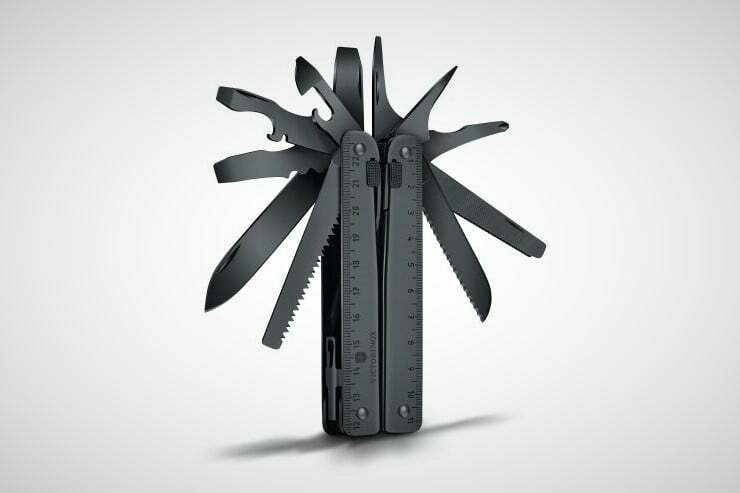 It’s a feature that allows users to attach their most frequented items such as knives, compasses and so on. This attachment is now used by the US military and part of the furniture on quality tactical backpacks. As well as this cool addition, this backpack even has a hydration pocket and a tubing port to access your fluids. Note, you will have to buy the reservoir and tube separately. This is the norm when buying these backpacks. Although slightly smaller than the SOG tactical backpack we just looked at, this one is still a phenomenal option. If you liked the hydrating feature on the Ninja model and thought that’s just what you need on your next summer hike, this one may be even better for you. It also has the hydration compartment. But, instead of having to source your own extras, this backpack has them included. Buyers get the backpack along with a two-liter hydration reservoir and the required tubing. The tube has a valve at the end which is easy to access for hands-free hydration. The backpack sits comfortably on your shoulders and can be adjusted for a tailored fit using the York-style method. The straps are again padded for comfort. Where this one differs slightly is that it also has fastening across the sternum region and a waist belt to increase security. Despite all these extra bits, you still get the MOLLE attachment to keep your necessities close by. Inside the backpack, there are a number of compartments and zippered pockets for your convenience. This is a tactical backpack focusing on providing accessible hydration on the go but hasn’t fallen short in the other departments. It’s perfect for outdoor adventures in the wild. When it comes to size, there is no competing with the SOG Barrage Tactical Backpack. This backpack is much larger than the other options made by SOG and their competitors. With a colossal 64.3 liters of storage, the only thing you’ll be struggling with is coming up with ideas of how to fill it. To make this large tactical backpack as strong as it is big, the manufacturers have inserted an internal frame inside the design. This maintains the backpack’s shape and compartments, as well as providing unbeatable protection to your gear. It is produced with 100% polyester and features adjustable straps for personal comfort. Just like their other backpacks, these straps are padded and complemented by sternum straps and a waist belt. 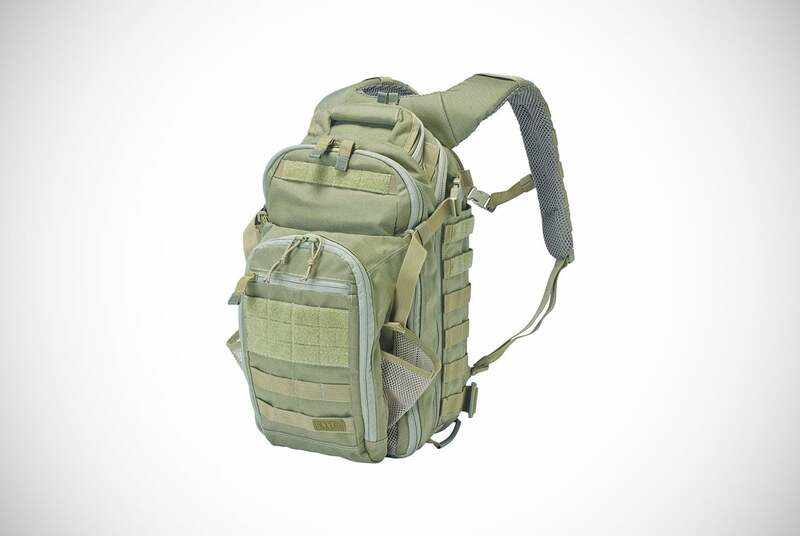 No SOG backpack would be complete with the celebrated MOLLE attachments and of course, a hydration compartment. As this design centers around its size rather than its hydrating feature, you will have to get your own reservoir when buying this one. It does have a soft pocket for protecting your sunglasses and small electronic devices, but these pockets aren’t suitable for large electronics. All of this quality comes packaged with a lifetime warranty for purchasing peace of mind. 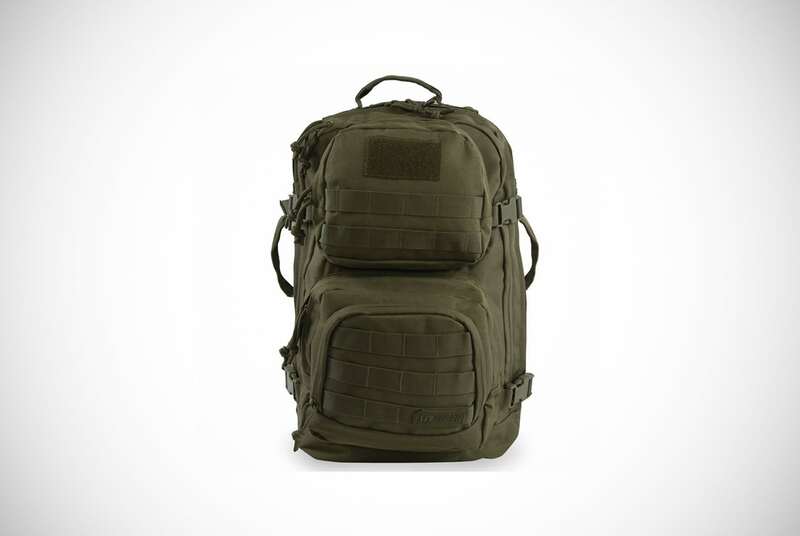 From the New York subway to the battleground, this 5.11 tactical backpack has your, well, your back. The applicable uses for this impressive bag are exhaustive and that’s due to its number of awesome features. Inside the bag, you’ll find two compartments that can be entered from either side while on the move. However, this is far from its most impressive features. This bag can actually house a full-size firearm in its Roll-down Assault Compartment (RAC). If a gun isn’t what you need but some smaller vital equipment, take a look to the shoulder straps. It may not be the MOLLE attachment, but this QuickTact design still provides wearers with quick access to combat and patrolling essentials. Or, just grab your sunglasses and laptop from their allocated protective compartments for added convenience. The backpack’s functions are only matched by its own durability. It’s made from 500D nylon to withstand the elements and has Duraflex hardware and YKK zippers to round off an almost unbreakable product. Every stitch of this backpack houses a useful feature or an important piece of equipment. As you can see by our product specifications section on these 5.11 products, they try to target all the key areas when making a tactical backpack. This model is no exception and ticks all the boxes, which makes it perfect for the urban dweller, the security guard or the military man. For the business guy needing a solid backpack to protect his electronics on the way to the office and back, this backpack houses a tablet and laptop sleeve. These sleeves have been cushioned to provide your valuables with outstanding protection. From the drunk subway guy bumping into everyone to your own forgetfulness as you throw your bag down after a hard day at the office, you’ll be covered. Yet, it’s also great for men needing a tactical backpack for active use. This model includes a hydration pouch for H2O on the go and side pockets so you can easily get your most important items in the heat of a battle. What makes it even more apt for combat situations is its tear-out medical pouches. If you need medical supplies fast, these pouches let you locate what you need and retrieve them in rapid time. These cool inclusions don’t stop the tactical backpack from being extremely comfortable – compression straps take care of that! 5.11 sometimes do something really clever with their tactical backpacks that you may easily miss. If you look inside of their products, you may encounter lining with bright colors – often orange. This is used to help you locate your gear in low-light conditions without needing to use a torch which may give away your location during a conflict. This 5.11 All Hazards Nitro backpack has just that. 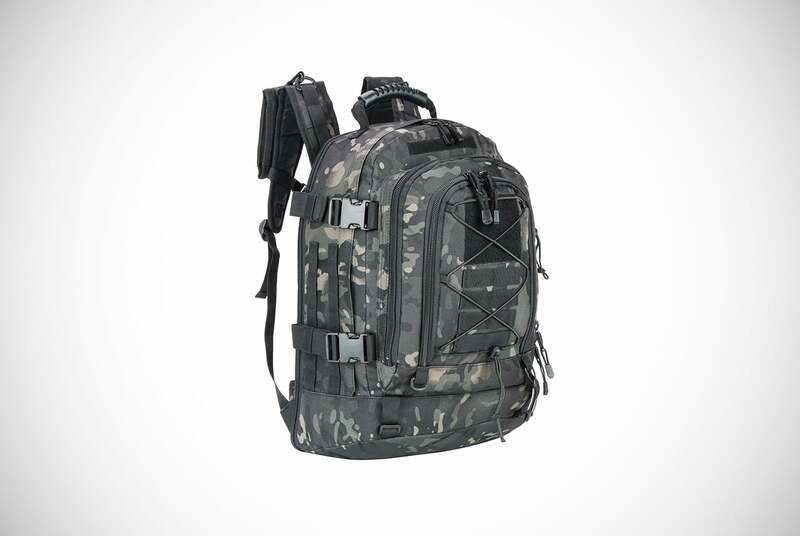 This tactical backpack is made of 100% 1050D nylon to protect two core compartments. Accessing either of these spaces is made easier due to an extensive zip that allows the backpack to really open out. If you’re not reaching for your gear from these two spacious areas, you may be going straight for the oversized and protected sunglasses pouch. The external parts of the backpack are as impressive as its inside. The bag has many slots running down the straps and along the sides of the bag. These are great for keeping small essentials close to hand in pressuring situations. It even has patches to easily display IDs or a nametag. The bigger items have their own place as well and can be kept in a designated “shove-it”-style pocket. 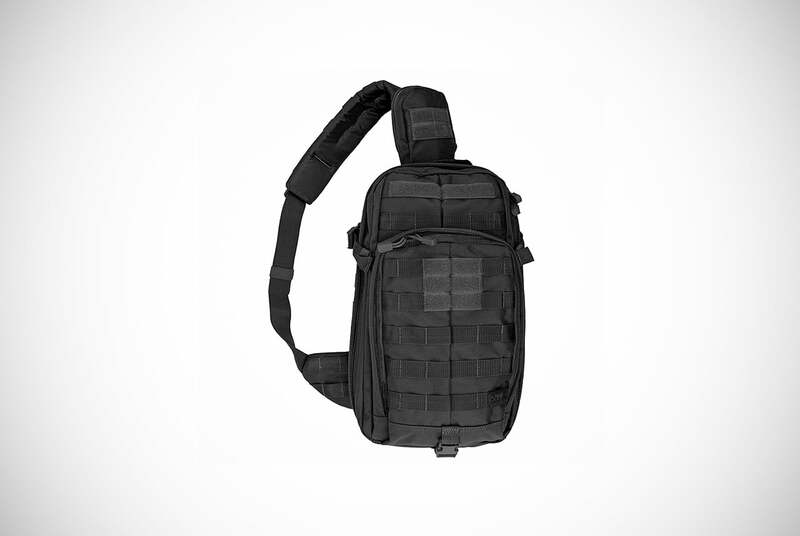 The last 5.11 tactical backpack on our buyer guide is their Rapid Origin Backpack. It’s another model which will cater to a lot of preferences. They do this by making the back compartment of the bag exceptionally multifunctional. This compartment can fit most laptops and tablets, but it doubles as a hydration pouch when needed. A useful tactic for backpack manufacturers with slightly smaller capacities! However, this may make it multifunctional but it also means you can’t have your cake and eat it. It’s one or the other. It’s Netflix or water. 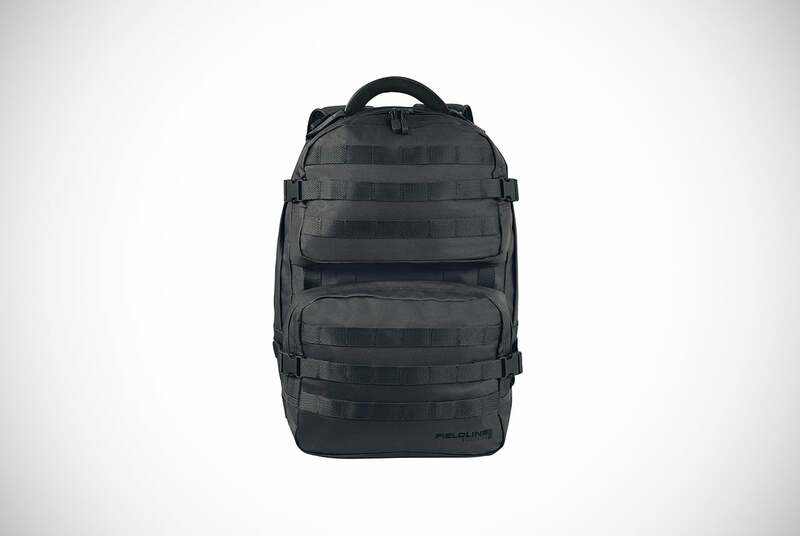 The backpack does include the MOLLE design so users never have a problem obtaining their important and potentially life-saving gear in seconds. The inside of the tactical backpack even has two zippered pockets for more storage options and a sunglasses pocket which has been lined with cushioning soft fleece. If you work in an office, as a security guard or in the emergency services and always need to carry an ID card, this tactical backpack can help. It stocks an admin panel, which is hooked to a zippered compartment on the outside of the backpack. No more forgetting your ID or patting yourself down as you approach your base. This backpack has it on display at all times so you never have to worry about it again. These Highland creations look like tactical backpacks straight from a Hollywood action-hero film. They wouldn’t look out of place in a zone of conflict or weaving between pedestrians in a busy transport hub. When opting for this cool model, you get a choice between three colors, namely dark green, desert coyote and a standard black design. Which one would you choose? 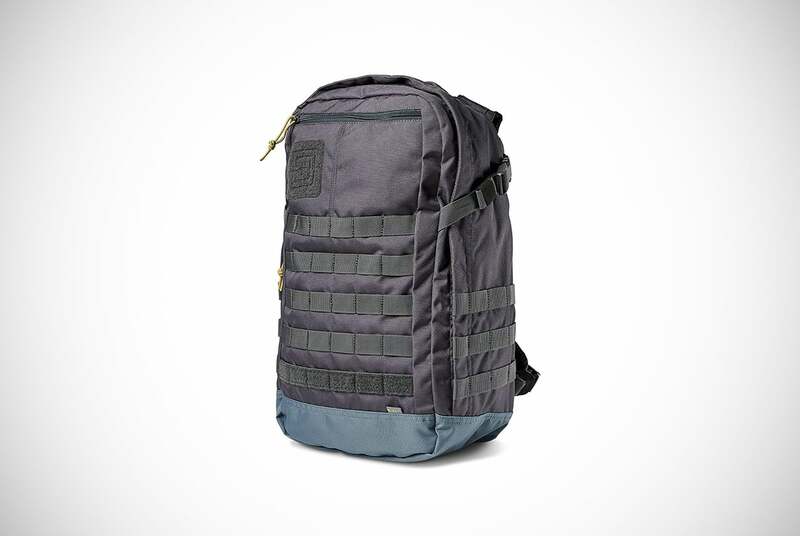 This may be one of the best tactical backpacks for men when prioritizing storage options. Not only is it layered in MOLLE straps ready to secure down your knife, torch, compass and other gear, but it also has an incredible eight external pockets. It’s got more pockets than a snooker table. It also has some of the features you may be – but shouldn’t – be starting to take for granted, such as a hydration pouch, breathable mesh, an adjustable sternum strap and padded straps. Yet, one of its most simple but cool features is a pair of side handles. 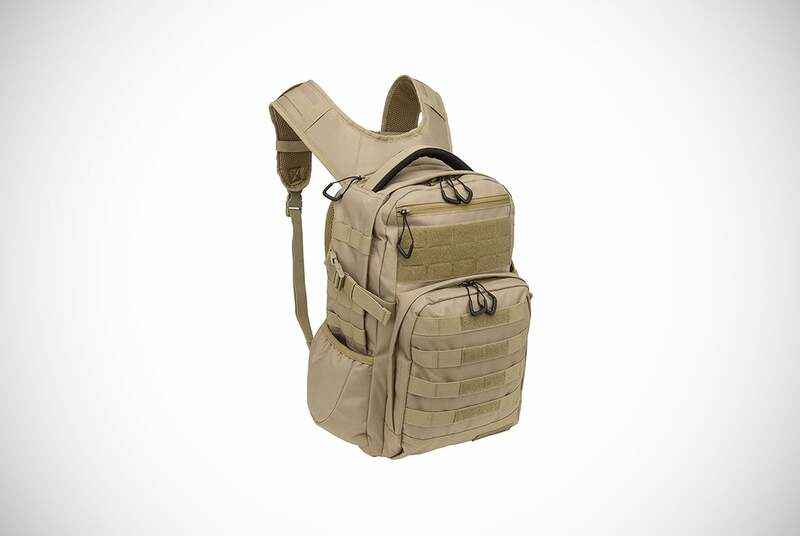 This lets you pick up your tactical backpack when in a rush to a conflict zone or when needing to escape quickly. Simply grab these durable side handles and make a run for it with the knowledge that these heavy-duty handles aren’t going to let you down or cause seams to tear. The biggest Highland tactical backpack is this one. With a capacity of almost 40 liters, you’ll never be short of space. This is even more true when you consider that this backpack has two MOLLE designs added to it. Yes, that’s right! 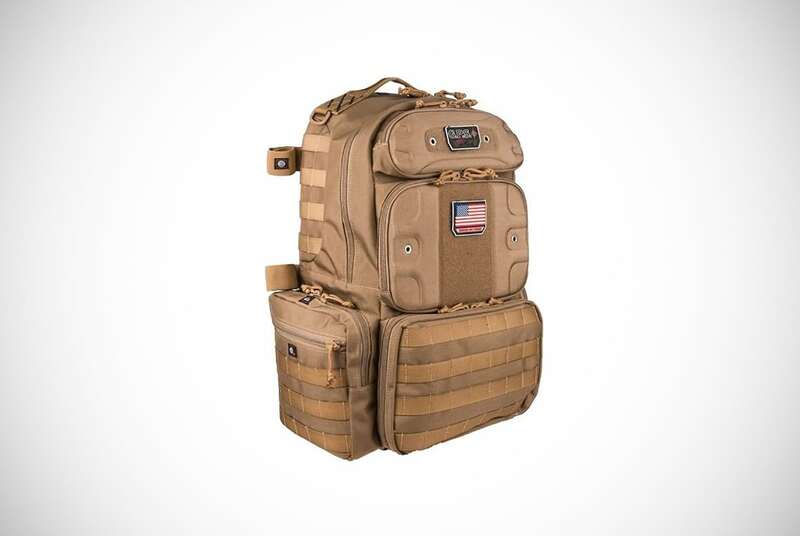 Owners of this tactical backpack have the luxury of two different types of MOLLE webbing to personalize their backpack with their accessories in a way to suit them. If all this wasn’t enough, Highland enhanced the backpack with cool patches and nylon hooks to carry even more of your stuff. One of the best compartments in the mix of all these options is a tricot-lined pouch. This neat pouch has been made specifically for a smartphone, a GPS device or a pair of sunglasses. Please be aware that this pouch is not big enough for a tablet or laptop. Even though there is a sleeve, this isn’t protected with padding. Other features you should be aware of include back and strap mesh padding for a combination of comfort and breathability, along with adjustable sternum and waist straps for support. Highland is their name and tactical backpacks for men is their game! The next brand and their innovations we’ll be reviewing are the works from Fieldline. 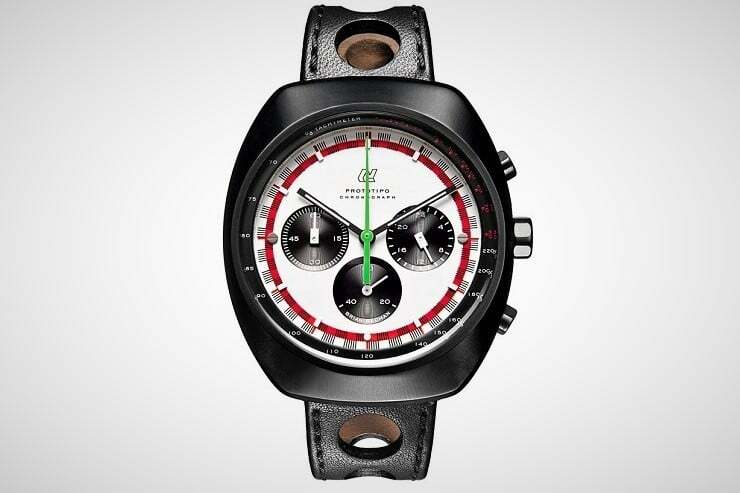 This model of theirs comes in two fantastic colors which will help keep you under the radar in modern conflict zones. 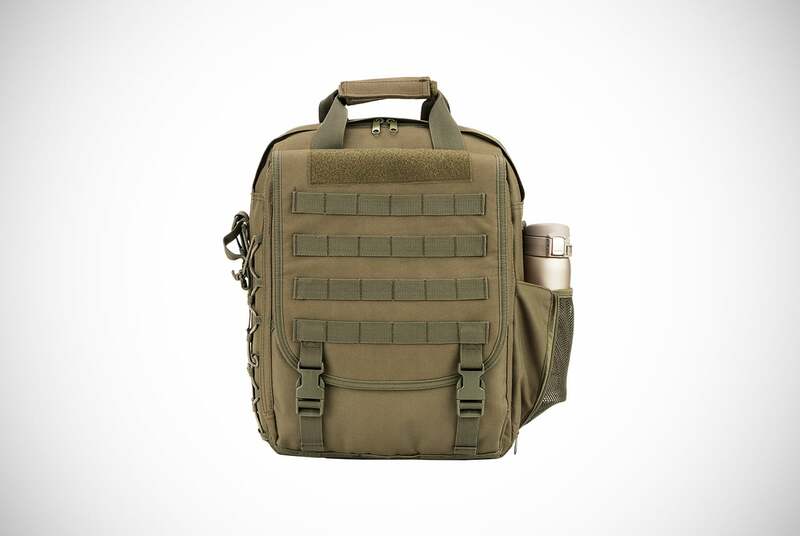 One of the best features on this tactical backpack is the two-liter hydration compartment. This pouch is fastened securely with strong Velcro so you will never lose your water in the heat of the desert. Just don’t expect the hydration reservoir to come with this backpack. You’ll have to buy that separately. The bag itself has a lot to offer in terms of storage space and comfort. Inside you will notice an extra-large central compartment accompanied by mesh pockets that can be closed using a sturdy zip. Zip pockets are also located on one of the external pockets which are ideal for storing your more frequently used items. Never lose your essentials with this conveniently placed pocket! The second compartment inside the bag is also an impressive size. By separating the internal space, owners are able to more easily organize their tools and other gear. To make the backpack as comfortable as possible, Fieldline has made sure owners of their invention can tailor it to fit them exactly as they like. The shoulder straps are fitted with a yoked system so they can be adjusted to the perfect fitting in seconds. To give an evenly-secured feel, they have also chosen to add a sternum slider which is also fully adjustable. Just like their other tactical backpack, this one also comes in a choice between black and coyote. However, that’s about the only thing they have in common. This is an extremely large backpack with a lot more room than the one we just saw. With nearly 40 liters of storage to play with, it will come in useful on a hunting trip with the guys, traveling for a business trip or on a simple hike with the family. It does remain somewhat similar inside the bag because it also offers a large main are accompanied by zip mesh pouches to keep essentials. But if your essentials are going to be needed often, it would be wiser to store them on the MOLLE straps which feature extensively and wrap around the backpack. This is the best place to keep things like flashlights, bear spray and tools. Back to the inside again and where this one also differs is by including a sunglasses pouch. The pouch is lined with fleece to keep your eyeglasses or sunglasses protected while moving around. It features a two-liter bladder to keep you from feeling thirsty. Note, the fluid reservoir is sold separately. All of this quality and classic tactical-backpack features are sold with a free lifetime warranty to keep you assured. Our final Fieldline tactical backpack will take us to their Surge model. It might be one of the smallest options coming from their boardroom, but it has something that none of their other backpacks has. In fact, this inclusion has only been seen once already and is something that will win over a lot of hot-weather hikers, runners and climbers. This streamlined backpack doesn’t just provide you with a space to include a hydration reservoir, it also provides the reservoir and the required tubing. The tube has two points of access to tailor-make the backpack and the avenue of hydration to your preferences. 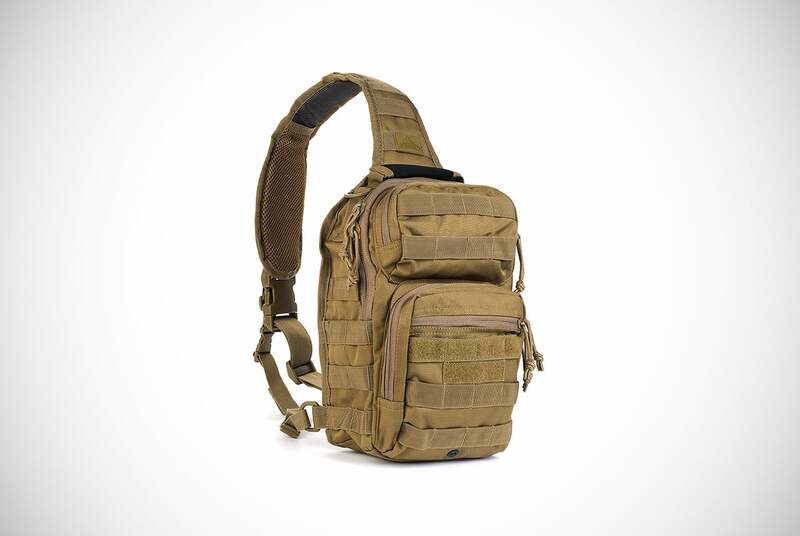 Enjoy no more headaches shopping for the separate accessories and stay hydrated with this one tactical backpack purchase. All-inclusive hydration doesn’t mean it falls short in other areas. It follows suit to the brand’s other creations by including MOLLE webbing for your small safety items and has a main compartment that includes soft padding and zippered closure. Even though the manufacturers haven’t advertised this area as a laptop or tablet sleeve, some past customers claim it can work as such depending on the size of your device. The second compartment lets you organize your gear. Not just because it separates itself from the main area, but because this section has a further three pockets. G.P.S specialize in making tactical backpacks for firearm carriers. They make their backpacks to safely transport multiple firearms and their ammunition securely and safely. We have four of their products to show you and will kick things off with their Handgunner Tactical Backpack. Before we get to the main event., let’s take a look at the supporting features to this cool backpack. It has a number of pockets and storage options surrounding the main compartment. These pockets and sleeves have been specifically designed to store various other items needed for the range. They adequately hold up to two more magazines, plenty of ammunition, ear defense, cleaning supplies, shooting mats and much more. Your firearms will be kept in the lower compartment of the backpack. This space can hold four vertically-stored handguns. They will all be protected on a foam cradle to avoid any scratches or other damage while on the move. This foam is of the highest of densities to make sure your valuable firearms don’t suffer any damage whatsoever. The foam is part of a cradle design. This means when you want to retrieve a handgun from the backpack the unit simply slides out of the lower compartment and slides back in when you’re finished. One of their other range tactical backpacks is this model. 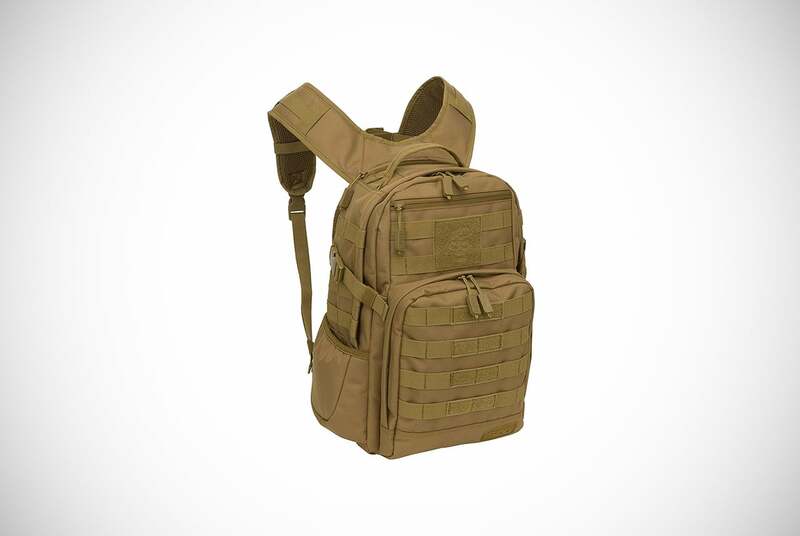 While it is without question a backpack focusing on carrying firearms, it doesn’t abandon the other features of tactical backpacks as much as the last one does. This is evident in the inclusion of some MOLLE webbing with reliable triple stitching. This allows owners to carry even more essentials, but we wouldn’t recommend keeping ammunition and such here. There have been specific pockets designed on the backpack to hold your magazines and ammunition. Four of them in fact – all with zips to ensure they remain secured at all times. It also has ID storage so you can display your cards and passes without worry. In total, this tactical backpack for men can safely accommodate three of your finest handguns. These handguns are encased in a honeycomb frame to provide rigidness and unbeatable protection. Anything inside this backpack is protected and you sure know that your firearms are cared for. Most of this tactical backpack is made from water-resistant 1000-denier polyester and then coated in Teflon to make it an investment rather than a purchase. All of this quality comes in a choice between two colors – black or tan. We’d get the tan, what about you? The penultimate G.P.S tactical backpack we want you to know about is an awesome backpack for men. It has a lot of the same features as the one you just saw but also has a few extras that will undoubtedly swing your decision. The same features you just read about include multiple zippered pockets for your magazines and ammunition. It is also packing three spaces for your handguns and again these are protected with a sturdy and rigid internal honeycomb frame. The same triple-stitched MOLLE webbing is not easy to miss and neither is the ID holder too. All of these are fantastic inclusions for any guy looking for a quality range tactical backpack. Yet, these are not the same backpacks. If you could hold them, you would tell instantly because this one is made from 100% nylon. The features differ slightly too. This tactical backpack has some lucrative additions that any military reserve or range dweller will appreciate. It has a rain cover that seamlessly pulls out for impeccable waterproofing when a sudden downpour strikes. It has a bungee cord that can be used to hang your targets as you head to the range. It even adds to the ID holder by providing a name placard in case your bag goes missing or you need to display a placard as part of a club. The waist strap has been added with even more padding as well, to make sure you’re comfortable when carrying multiple firearms and accessories. All in all, it’s an excellent tactical backpack for men who like to shoot. The last G.P.S product on our mission to uncover the best tactical backpack for men is another beauty. Like the first model from this brand that we showed you, this one can store four small to medium handguns. These will sit in an internal foam cradle to protect them from scratches or more significant damage. The cradle pulls out so you can retrieve the firearm you need then easily slide back inside the backpack. The zippers on this backpack provide security but that is enhanced by the fact that these zippers have been designed to become lockable. Your handguns will never fall into the wrong hands with this safe and secure tactical backpack. Its other features are a pick and mix of the other backpacks they’ve made. This product will allow you to display your ID, badge or security pass in its protective storage. This stops you searching for your ID every time you leave for the range. This backpack keeps you immaculately organized. Along with this recognizable feature is another one. This backpack has a pull-out waterproof cover to protect your backpack’s contents when the skies open up. 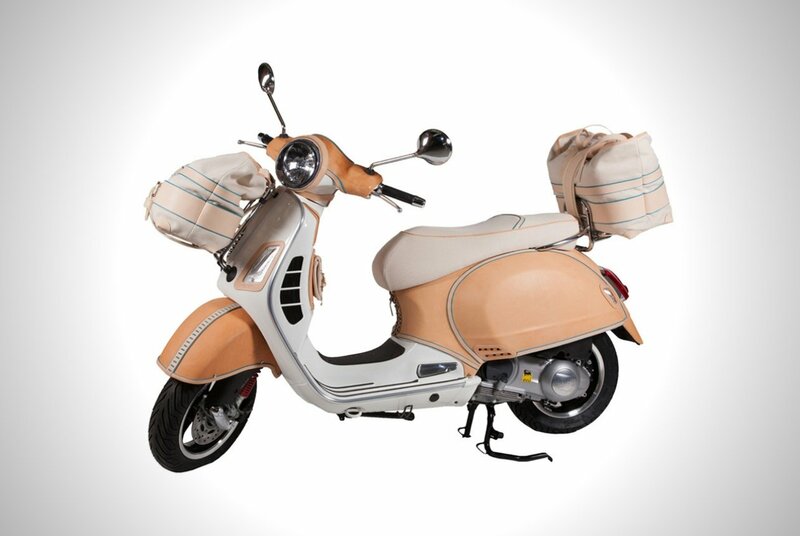 Its multiple compartments are complemented by a number of badges to show you what is to go where. For example, your binocular pocket has a badge depicting a set of binoculars. These badges are not stuck on with Velcro but are permanent. What a way to finish off our G.P.S showcase. Wouldn’t you agree? Now we’ve taken a look at some of the familiar faces on the tactical backpack scene, it’s time to take a look at some brands which may be less familiar to you. Although, we wouldn’t be surprised if you knew some of them! Don’t be fooled by the ones you’re not aware of, they’re on our buyer guide for a reason! For instance, this huge tactical backpack from WolfWarriorX has us jealous of any owner. It’s a massive backpack ready to store all of your outdoor gear. Why is it so big? Well, it’s actually expandable via side clips. This makes it adapt to your load and carry your stuff in a compact manner, so it doesn’t slow you down. In fact, the main compartment can double in size depending on how you want to utilize it. This model is all about how much it can carry. On top of the expandable core area, it has two pockets ideal for small accessories, a specific mesh pouch designed for a water bottle, sleeves for large electronics and a small section of MOLLE webbing. One of its most innovative features is the inclusion of two electronic pouches on the shoulder straps. 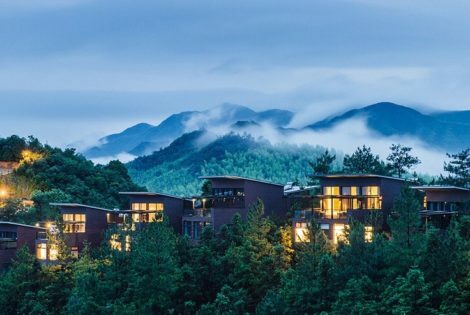 This means security guards have easy access to walkie-talkies, the everyday guy can easily grab his smartphone to take the incoming business call and nature wanderers can grab their camera in quick time. This Texas-based company even offer this excellent tactical backpack in eight awesome designs. Another large-capacity tactical backpack for men is the Reebow Gear Tactical Backpack. Specifically, it has a capacity of 40 liters that can be used to store protective clothing, tools and other vital resources. This would be an incredible bug-out backpack because its huge size is then made even better with extensive MOLLE webbing. If you’re going to try and survive in the wild for a while, or if you’re preparing for a zombie apocalypse – this is your backpack! It won even more points in the eyes of the Men’s Gear researchers by including a hydration pouch and in the way it’s manufactured. The materials scream quality. Looking over the bag you will see double or even triple stitching, cord pulls and heavy-duty zips. To make the backpack comfortable, there is padding on the lower back and shoulder regions. This padding has been ventilated to help expel odors and keep the bag in prime condition. If you’re looking for a bag that has it all at a wallet-friendly price, the Barbarians Tactical Backpack was made for you. It may feel small sitting next to the two previous models but it’s far from a small tactical backpack. With a considerable 35-liters to its name, it can house all the combat essentials or outdoor-pursuit accessories. It has been made using 600D high-density fabric to provide protection against the elements and features a military-grade zip for smooth use at all times. 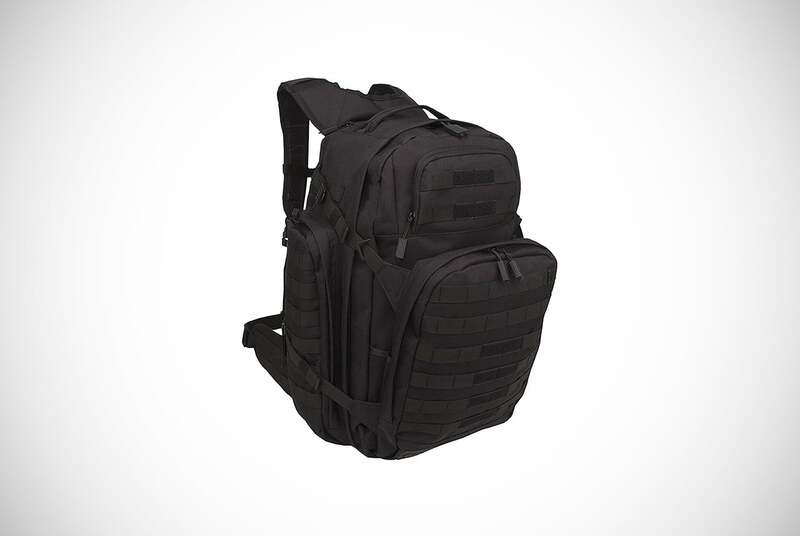 When it comes to storage, this tactical backpack packs a powerful punch against its competitors. The backpack can be divided into four compartments for maximum organization. Two of them are internal and can secure large electronics while two external areas are much smaller for more compact items. Speaking of compactness, this pack has multiple fabric tapes which enable the wearer to downsize the bag for streamlined use! To round off an already great tactical backpack, this design includes MOLLE webbing too. Make use of all the sleeves, pockets and pouches – then use the MOLLE webbing for items you require quick access to! Whether that’s a baton, a flashlight or something more trivial like a tape measure, the MOLLE inclusion is a welcome addition. Next up is the Reebow Tactical Shoulder Sling Backpack and it has everything apart from the kitchen sink and two straps. Albeit, both of these missing parts are intentional. From the start, you can tell this has been manufactured to last. It’s double stitched for added durability and has some of the most reliable zippers you’ll find on a backpack anywhere. Inside the backpack, you will find enough space for all your essentials, including a sleeve for large electronics. Laptops and tablets up to 14-inches long can easily fit inside this pack and be fully protected. Your other items such as tactical gloves, compasses, flashlight, and tools will easily fit inside too. Or, you can make use of the MOLLE webbing on the outside of the bag to keep these items more accessible. It has a somewhat secret compartment on the back area of the backpack. This area is secured with Velcro fastenings and may be the perfect place to store a handgun and some ammunition. All of these items may have you thinking that the bag will be uncomfortable on one strap as you run and jump. However, Reebow Tactical include an optional waist strap to make your movements more secure and comfortable. What will make you even more comfortable is being hydrated. 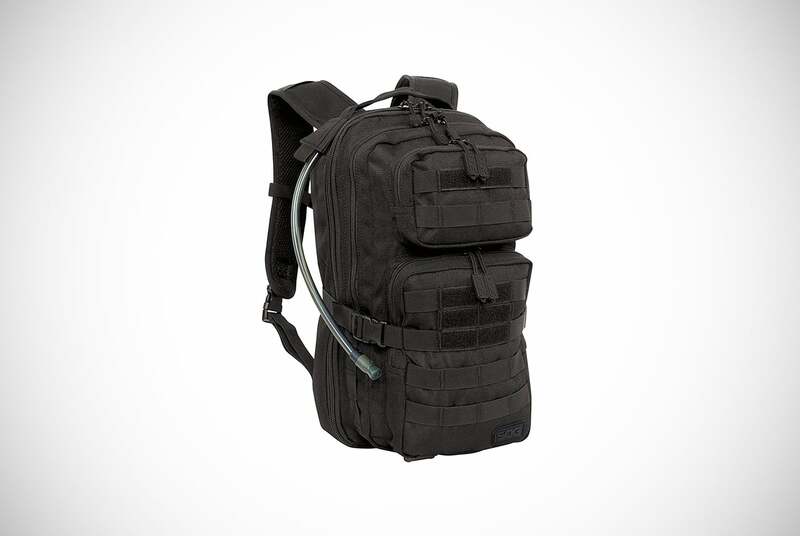 This tactical backpack includes a pouch ready to cater for a two-liter reservoir for on-the-go fluids. You thought we were done with 5.11 Tactical? 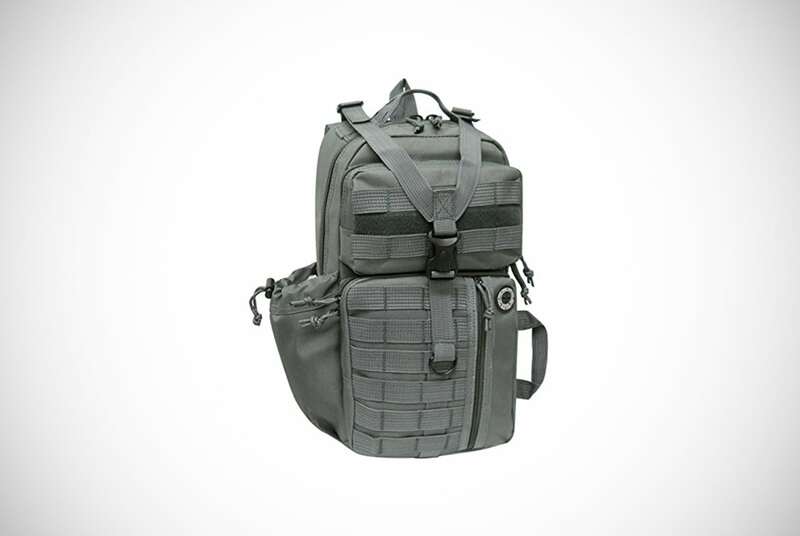 So did we – until we came across this outstanding sling tactical backpack. This is a customizable tactical backpack due to a number of features. The shoulder sling strap can be adjusted to cater to the wearer’s size. The inclusion of MOLLE webbing also lets owners organize their backpack in a custom way that isn’t always possible with backpacks that lack this military-appreciated feature. It’s a great option as a small bug-out bag! Other features include a communication pocket on the shoulder which is suitable for any communications device. We have only encountered this type of feature once before, so we still consider it an innovative benefit. Internal storage is well organized with multiple areas ideal for different possessions. Some areas are secured with zipping for maximum security. Other noteworthy aspects to this backpack are a flag patch and a sunglasses sleeve. One of the more flashy features is the hydration pouch. Although it isn’t supplied with the fluids reservoir, it is ready to accommodate a fluids tube! The whole backpack is made of 100% 1050D nylon to withstand harsh weather without falter. This tactical backpack is ready for battle – are you ready to take on the day? Red Rock Outdoor Gear may or may not be a familiar brand to you but there is one thing certain – they make good tactical backpacks. This model of theirs is made with similar quality to some of the best brands. To be exact, it’s constructed using fine 600-denier polyester then enhanced with a PVC lining. Together, they make for quite the force against adverse weather and especially rain. Inside the backpack, there are four different compartments. 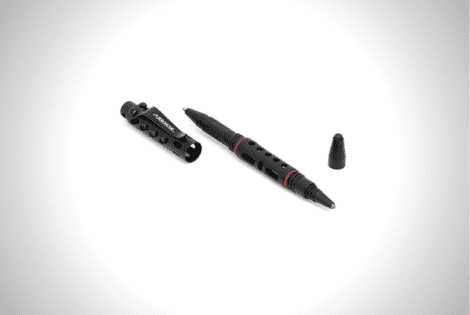 This lets you easily arrange your stuff so you can find it quickly in high-pressure situations. Never stop and rummage around too much and give your location away with this organizing tactical backpack for men! These four compartments are suitable for different things. From a small first-aid kit to binoculars – all the usual items will fit. The manufacturers even claim that an iPad or similar-sized electronic device can slide into one of their compartments with guaranteed protection. If you hadn’t noticed already, the Red Rock Outdoor Gear Rover Sling Backpack has only one strap. This is because, as the name suggests, it’s a sling tactical backpack. With this being one of the smallest models we’re featuring, the sling aspect is a natural match. The backpack isn’t going to get overly weighted and cause any discomfort when running and moving around with a single strap running diagonally across the owner’s torso and shoulder. This strap is fully adjustable to make it even more comfortable. Straight from their designers in Salt Lake City, the 3V Gear Slinger is a quality option. On any one of the product’s four different color options, owners will be able to utilize the inclusion of MOLLE webbing. 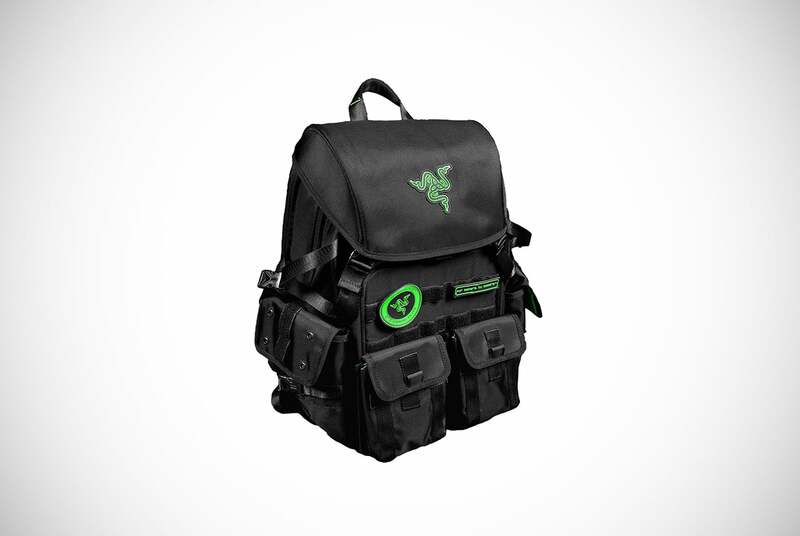 This adds a personal flavor to this sweet backpack. Add the small items that you frequently need to the webbing so you never have to keep stopping and rummaging through your backpack. Like many of the others, this tactical backpack chooses 600-denier as its weapon of choice to battle the elements. What it has that many of the others have failed to deliver is a panel to increase the backpack’s rigidness. An EVA panel is applied to the back of the backpack. 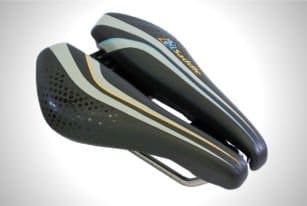 This not only helps to increase airflow, but it also prevents any of your gear sticking in your back as you make your way through the jungle – or the urban jungle. All of the backpack’s storage areas and compartments are easy to find. Simply retrieve one of your items by swinging the pack to your front – with thanks to the slinger design – and locate your gear. Within the myriad of compartments, you can find protective sleeves for valuable devices such as laptops as well as a pouch ready to fit a hydration reservoir! 3V Gear? More like 3-Day gear! This backpack would make the perfect bug-out tactical backpack and is supplied with a manufacturer’s lifetime warranty against any product defects! The last tactical sling backpack on our shortlist for the best tactical backpacks for men is this one made by NPUSA. Like some of its competitors, this one is also manufactured using quality 600-denier nylon with a PVC lining. There is a good reason these brands choose similar materials to make these backpacks – they’re proven to work! It includes a hydration pocket with a capacity of two liters. This is more than enough to get you through the Saturday hike with the guys, without the need to wrestle your backpack for your water bottle. At the top of this compartment, NPUSA has included a small slot so that owners can insert their hydrating tube for hands-free rehydrating. If you would rather rehydrate in other ways, this backpack has a bottle holder included. Your cold beer or energy drink can sit on your backpack and lock down with a drawstring. Cheers to that! Away from storing fluids, the options are just as impressive. All of its compartments are secured with a heavy-duty zip. 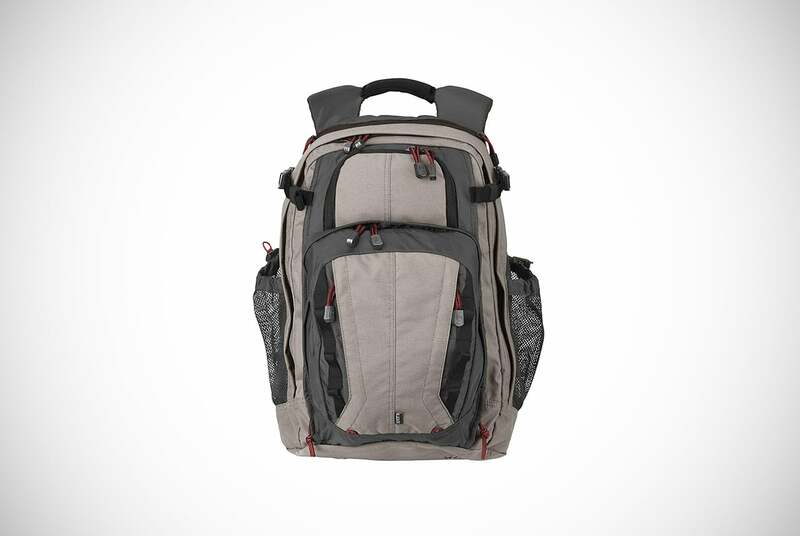 In total, there are five different compartments which are quite substantial for a 15-liter tactical backpack. Three zip pockets are located on the front of the pack, there is the central large compartment and the aforementioned fluids compartment. Just remember that if you use this space for something else, there is still a small opening near the top! These storage options aren’t even counting the extensive amount of MOLLE webbing on the product. 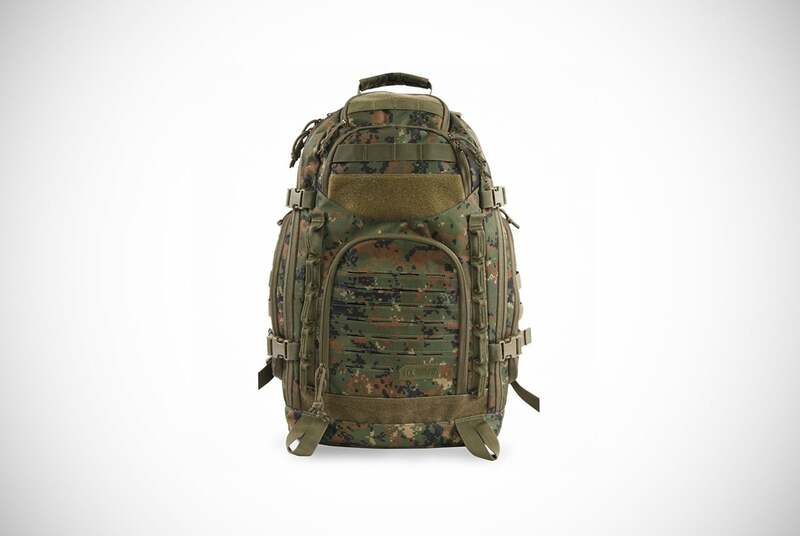 This tactical backpack is manufactured with the exact same materials that are used in producing military flak jackets. This paints the perfect picture of how durable this tactical backpack really is! Not only is it water resistant, but it’s also exterior so tightly woven with the best ballistic nylon that it is impossible to scratch it and you have no chance of tearing it. A tactical backpack for life? We certainly think so. The design and placement of its pouches and compartments are replicated off military bags but includes space for your laptop too. This is also the reason why the backpack uses MOLLE webbing between its external pockets. 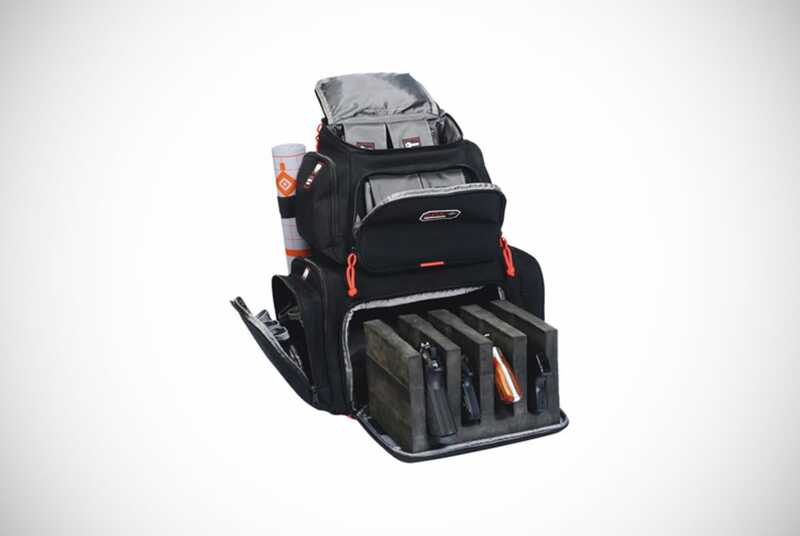 To carry all your items in comfort, the back and the straps of this model are thickly padded. This helps you feel your load even less but to enhance weight distribution further, wearers can utilize the backpack’s chest strap. This chest strap is adjustable for the perfect fit every time. Reebow Gear could have argued to have had their own section on our buyer guide. Here is another one of their exceptional tactical backpack creations. The highlight of this design is its ability to carry important electronic devices and protect them as you go. Smart school guys, military personnel with important data and office workers will love this option. If you have a laptop or tablet below 15.6-inches, we want to tell you more about a backpack for you. To avoid back sweat and to keep the pack feeling fresh, the shoulder straps and back section are put together using a breathable mesh. The whole design is double stitched so you know that this is an investment, not a purchase. 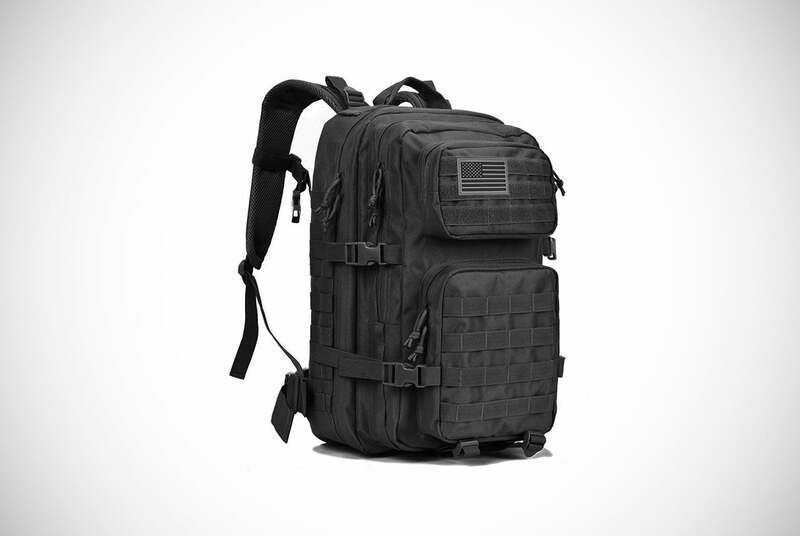 Along with the multiple compartments, you can find MOLLE webbing and some of the usual perks that backpacks in this league have. 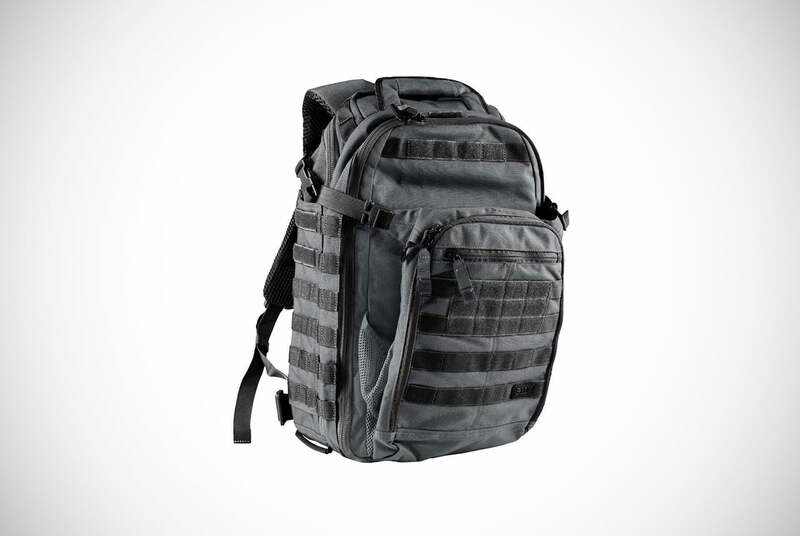 However, one of the coolest things about this laptop tactical backpack is in the top flap. This flap can store a fleece, jacket, sleeping bag, and even a skateboard! 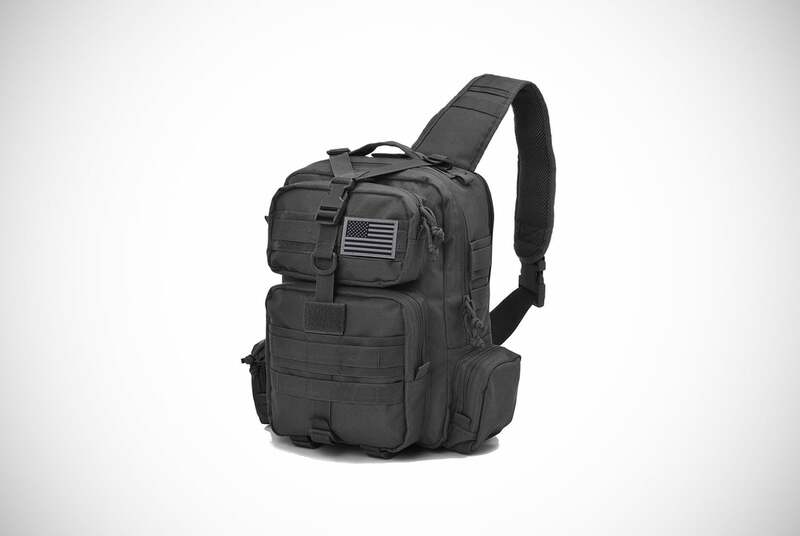 Military guys stick to the tanks but for the city dweller, this is a neat little capability of an under-the-radar backpack. Under this flap is an awesome X-type lock which is protecting the main compartments. This is one of the best we’ve seen, and you’ve earned this quality option by waiting this long to see it. A bug-out backpack and a commuters’ backpack in one! On the home straight now and one of the final tactical backpacks for men you need to be aware of is the PANS Military Tactical Backpack. This one is all about its electronic spaces, but before we dive into that like a marine off a bridge let’s take a look at its other features. Along with the laptop storage, there are other compartments for notebooks, pens and whatever else you may need to carry to the military, or any other, offices. There is a D-ring on the outside of the backpack to hand identification or security passes and not to forget the inclusion of MOLLE webbing. One of the most unique things about this product is its transformability. At one moment it is a laptop tactical backpack. However, one of its straps can be removed to create a variation of the tactical sling backpack. There is a third option too! The top handle allows it to be carried like a regular man bag. This handle is reliable and could even be used to grab and run with the backpack in dangerous situations that require you to act fast. The electronics sleeve is one of the most well-padded areas on any tactical backpack you’ll ever find. This level of security will be a welcome addition to anyone braving the rush-hour train with people bumping you in every direction. 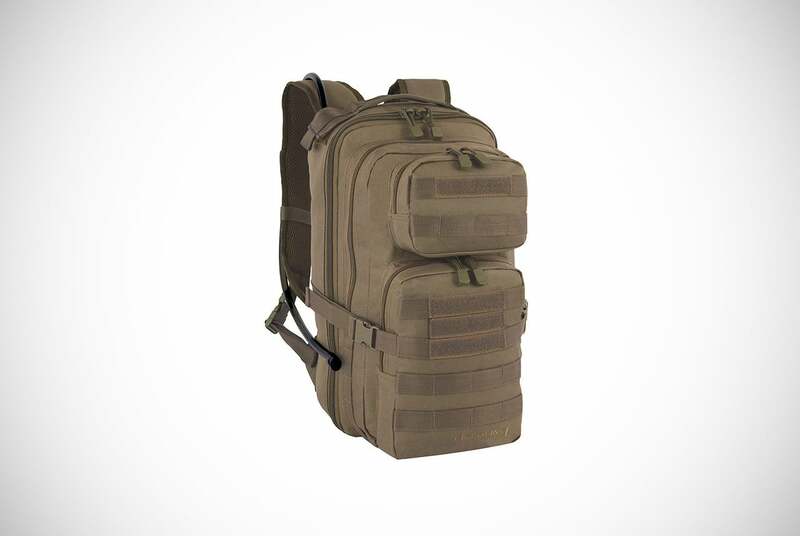 Don’t get a scratched laptop – get this laptop tactical backpack instead! We might be finishing with what looks like a less serious tactical backpack option, but this one means business from Gotham to Georgetown. It is made with 70% polyester and offers numerous compartments to store the climbing essentials, the combat necessities or just the next meeting’s brief. 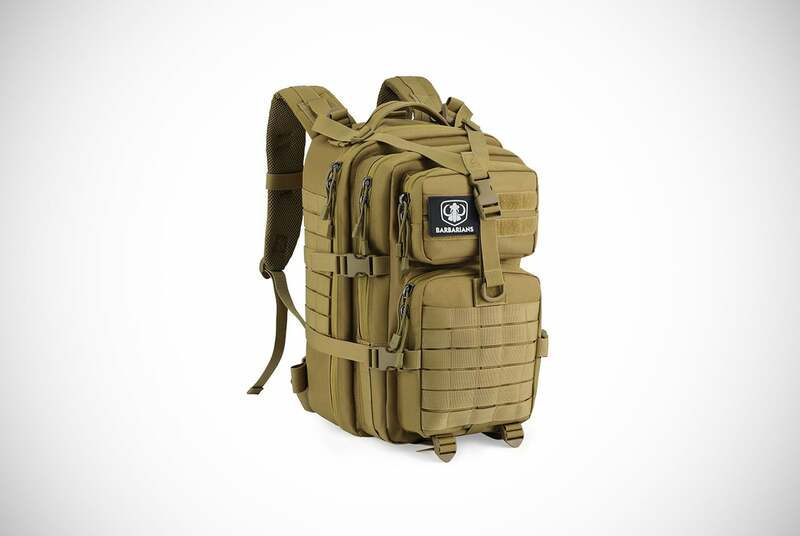 One of the best things about this tactical backpack is that it’s super easy to maintain. You can wipe it clean with no issues. The other phenomenal thing about his design is in its laptop compartment. You knew it was coming right? This laptop sleeve has been lined with fleece to prevent unwanted scratches and enhance its safety. The other pockets are all zippered and have internal organizers to keep you in check. The main area has a zip then there are two front pockets and two side pockets all with zips too. 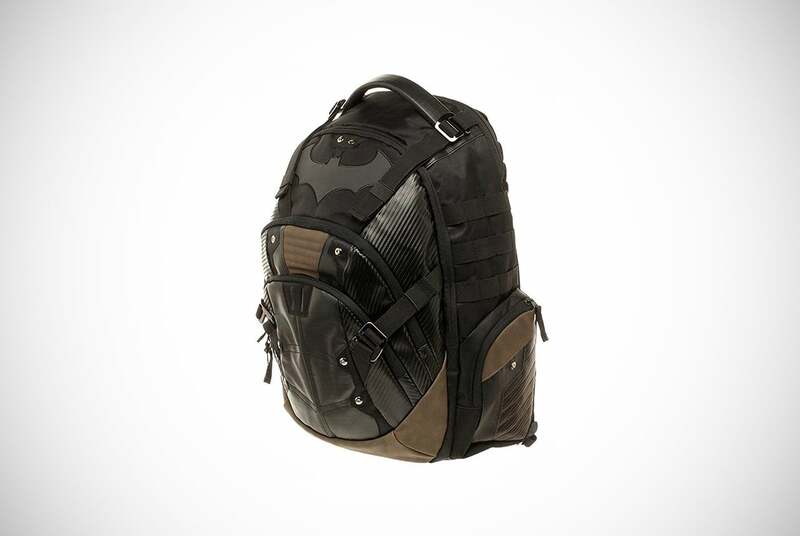 Wearing this tactical backpack may not give you Batman’s abilities but it will certainly feel comfortable. The shoulder straps are padded and adjustable and they are accompanied by compression straps. What you won’t know until you head out on an evening is that the bat logo on the back of the backpack will glow in the dark. Now you have a tactical backpack conundrum on your hands! Are You Going To Bag One? Did you find one of the best tactical backpacks for men on our list perfect for you? We sure hope so! These are some of the most trusted brands on the market. With the likes of SOG, 5.11 Tactical and G.P.S – you cannot go wrong! Remember to think about your specific needs with a tactical backpack before you go charging around the digital aisles like a blind bull. There are different types available and they don’t all offer the same features. Some of them haven’t even been designed for the same activities. Whichever one you pick, we’re sure you’ll be a happy camper… or a happy soldier, a happy rock climber, a content commuter or a satisfied security guard! Thanks for joining our buyer guide and we look forward to welcoming you to more cool discussions about must-have men’s gear very soon!